Active Endeavors is a full service outdoor speciality shop featuring the best of outdoor lines, casual apparel, footwear, and adventure travel. Active Endeavors is Iowa's Patagonia dealer, and has a great selection of the North Face, ArcTeryx, Marmot, Mountain Hardwear and other top outdoor lines. 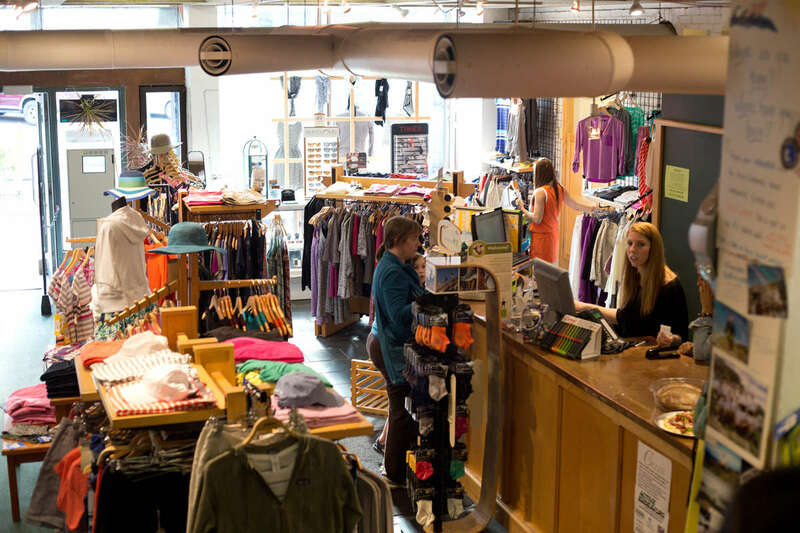 Active Endeavors also offers a great selection of casual apparel from Patagonia, LaCoste, Lole, Prana, Quickilver, Fred Perry, Horny Toad, and others. Active Endeavors has the largest selection of footwear in downtown Iowa City, and is your top choice of adventure travel luggage, apparel, and accessories. Stop by and have the experts at Active Endeavors take care of your shopping needs!